The LightWave ST-SC Multimode OM1 Fiber Optic Patch Cable brings you a high performance, low transmission loss and low cost solution for all your fiber optics and telecommunications applications. Utilize the dependability of the ST and SC connectors when you need to send and receive a large amount of data across a short distance. 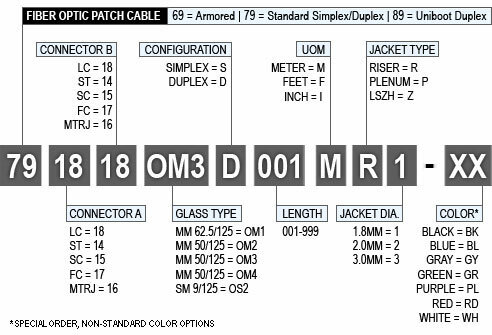 This is a duplex-configured cable, manufactured to meet the toughest demands. This OM1 multimode cable will enable you to send a substantial amount of data over a 62.5/125 micron glass fiber 1Gbps link a distance of up to 300 meters at a wavelength of 850nm or a distance of up to 550 meters at a wavelength of 1300nm. 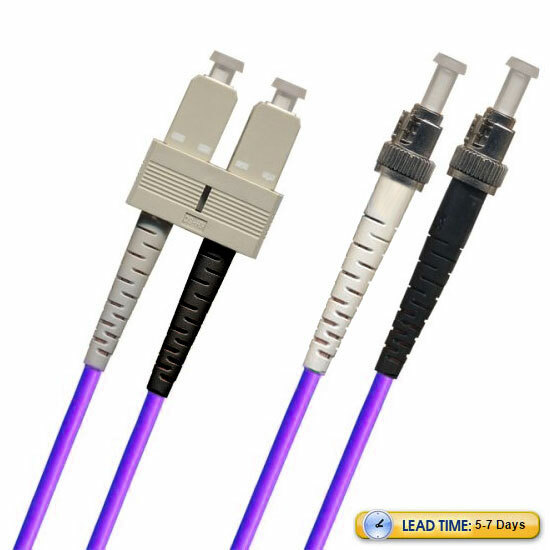 For a 10Gbps link, you can transfer data a distance of up to 33 meters at an 850nm wavelength.